This sign is 23″ by 11″ and comes from New York. The sign has the Hood Tires dealer standing on the left side of the sign with his right hand in the air. In his left hand he has a red flag. The text on the sign reads “H. M. Tinklepaugh Albion, N.Y. 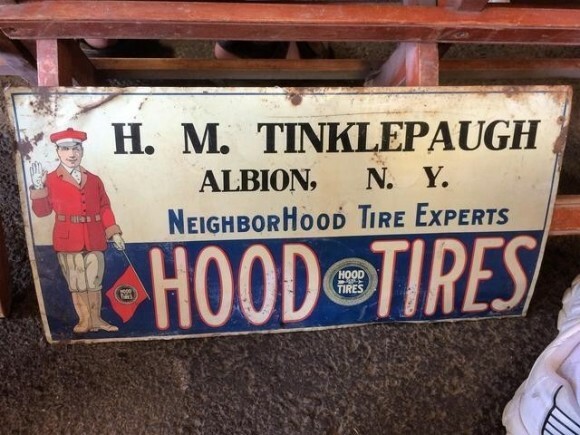 Neighborhood Tire Experts, Hood Tires.” The Hood Tires logo is in the center of the text. The sign is white, black, red, and navy blue.